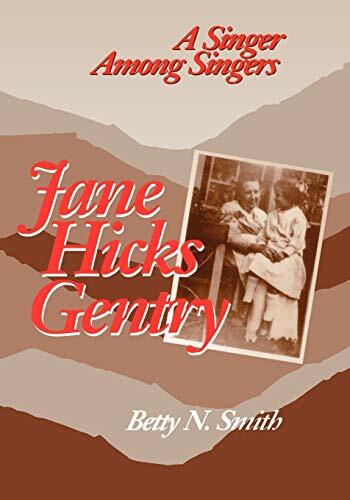 When Englishman Cecil Sharp traveled through the South gathering material for his famous English Folk Songs from the Southern Appalachians, his most generous informant was Jane Hicks Gentry. But despite her importance in Sharp's collection, Gentry has remained only a name on his pages. Now Betty Smith, herself a folksinger, brings to life this artist and her songs and tales. Jane Hicks Gentry lived her entire life in the remote, mountainous northwest corner of North Carolina and was descended from old Appalachian families in which singing and storytelling were part of everyday life. Gentry took this tradition to heart, and her legacy includes ballads, songs, stories, and riddles. Smith provides a full biography of this vibrant woman and the tradition into which she was born, presenting seventy of Gentry's songs and fifteen of the "Jack" tales she learned from her grandfather.